Select a ring that not only commands attention, but also pays tribute to your faith. 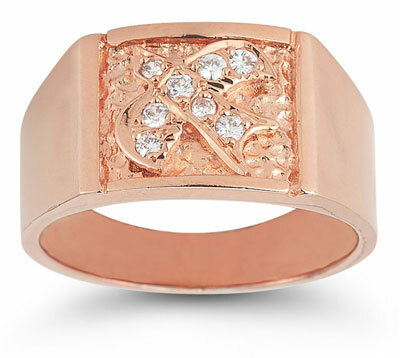 Apples of Gold provides the perfect solution with the Christian Dove Diamond Holy Spirit Ring. 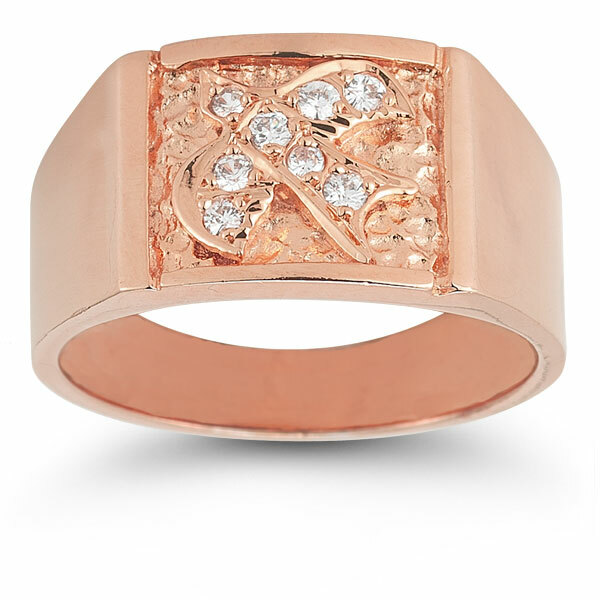 Crafted from the finest of 14K rose gold, this ring demands notice with its unique color and exceptional design. The broad band is given a smooth polish around, except for in the main center, where the textured surface takes over. Set within this is a Holy Spirit dove that is studded with eight bright white diamonds. We guarantee our Christian Dove Diamond Holy Spirit Ring in 14K Rose Gold to be high quality, authentic jewelry, as described above.